51 Soya Bean is located at Old Airport Road Food Centre. I went to try this as the Lao Ban Soya Beancurd 老伴豆花 was sold out. There was no queue at this stall. 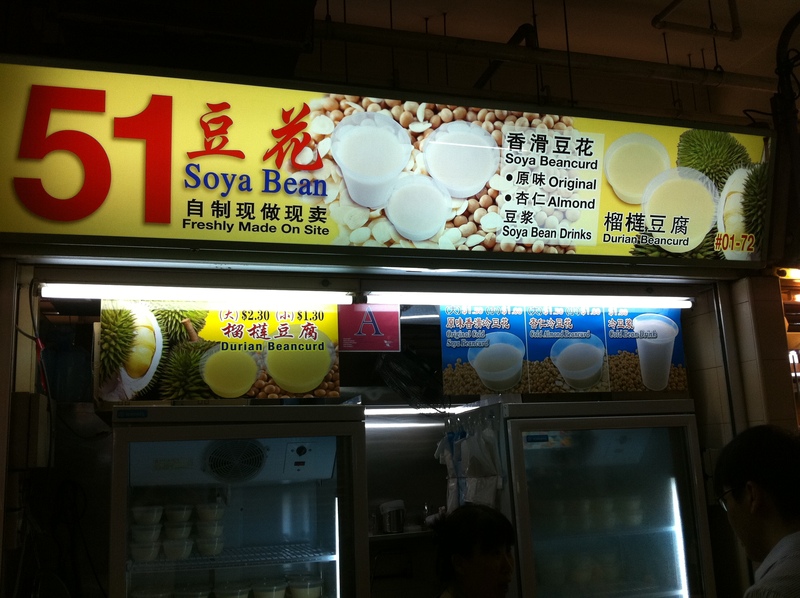 51 Soya Bean sells Original Cold Beancurd, Cold Almond Beancurd, Cold (Soya) Bean Drink and even Durian Beancurd! Looks so plain and boring. Well appearances can be deceiving. Let me compare 51 Soya Bean with Lao Ban Soya Beancurd 老伴豆花. 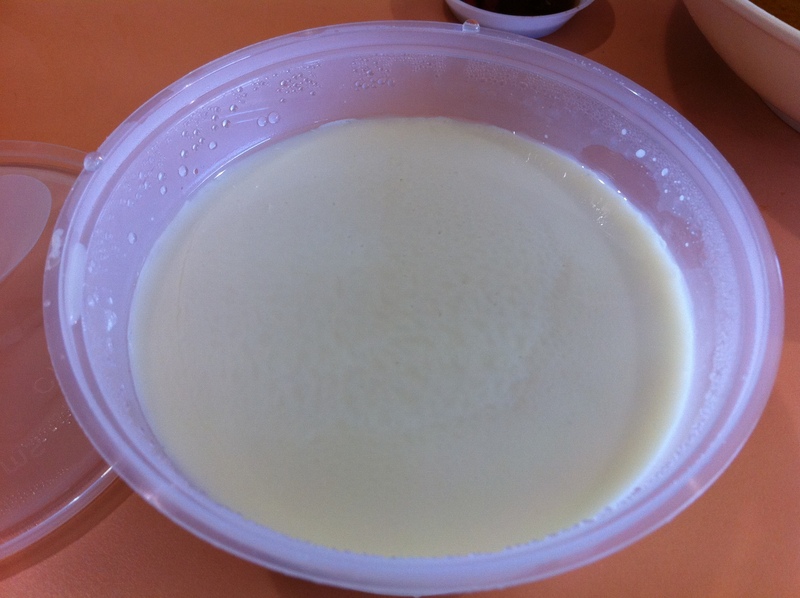 Conclusion: Lao Ban Soya Beancurd 老伴豆花 ‘s beancurd is the clear winner when compared to 51 Soya Bean. Overall, I would still recommend 51 Soya Bean. For me I would go there if Lao Ban Soya Beancurd gets sold out or has a long queue. It really depends on individual preference. I love 51 too! But recently I went to Down Town East and saw this beancurd which is very much interesting because they have beancurd in a CUP! and taste as nice. Smooth and not too sweet. It's So-Yea located near wild wild wet. I recommend you can try them. Hi, hmmm are u for 51 or Lan Ban Beancurd? U derived that Lao Ban was the winner and yet recommended 51 and would only patronize the latter if Lao Ban was sold out?